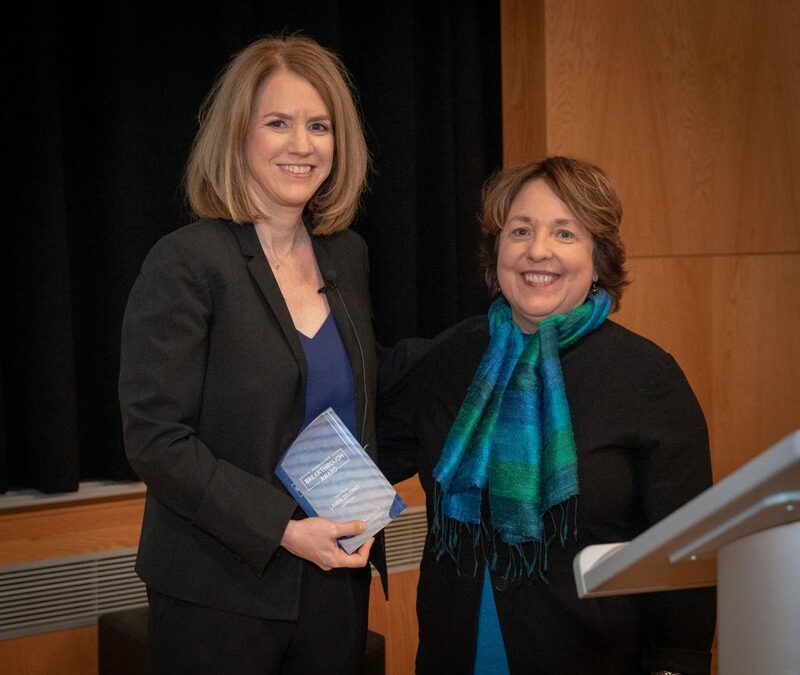 Last week, Ithaca College’s Roy H. Park School of Communicationshonored Bloomberg’s Laura Zelenko with the 2019 Jessica Savitch Breakthrough Award, which highlights efforts of women who work to promote women’s voices and stories in media. Zelenko, Bloomberg’s senior executive editor for diversity, talent, standards, and training who leads Bloomberg’s New Voices program, delivered acceptance remarks and then participated on a panel featuring women who have made an impact on women’s representation in media. Savitch, a 1968 graduate of Ithaca’s Park School who remained closely involved with the institution throughout her life, served as Saturday anchor for NBC Nightly News and as its Washington-based reporter. She gave the main address at the College’s 1979 commencement, was awarded an honorary doctor of humane letters degree and was elected to the Board of Trustees the following year. In 1983, Savitch died in an automobile accident. On the panel, Zelenko joined Christine Vachon, Academy award-winning independent film producer and co-founder of Killer Films; Stacy Smith, Associate Professor and Founder/Director of the Annenberg Inclusion Initiative at USC Annenberg School; and Brooke Johnson, retired president of the Food Network and the Cooking Channel. The panel was moderated by Park School instructor Ann Marie Adams and student Reesa Hylton. Park School Dean Diane Gayeskiintroduced the evening’s events. At Bloomberg, Zelenko oversees the New Voices initiative, which aims to increase the representation of women sources in both online and on-air content. The program includes the establishment of a definitive global list of women experts in finance and business, a system to track diverse sourcing, and the funding of media training for top women executives and other under-represented voices. In 2019, the media training initiative will take place in New York, Toronto, London, Hong Kong, San Francisco, Sydney, Dubai, and Mumbai. The March 21 event was part of the programming of the Park School’s third annual Women in Media Month, which is presented in conjunction with International Women’s History Month and made possible by the Jessica Savitch ’68 Endowed Fund. 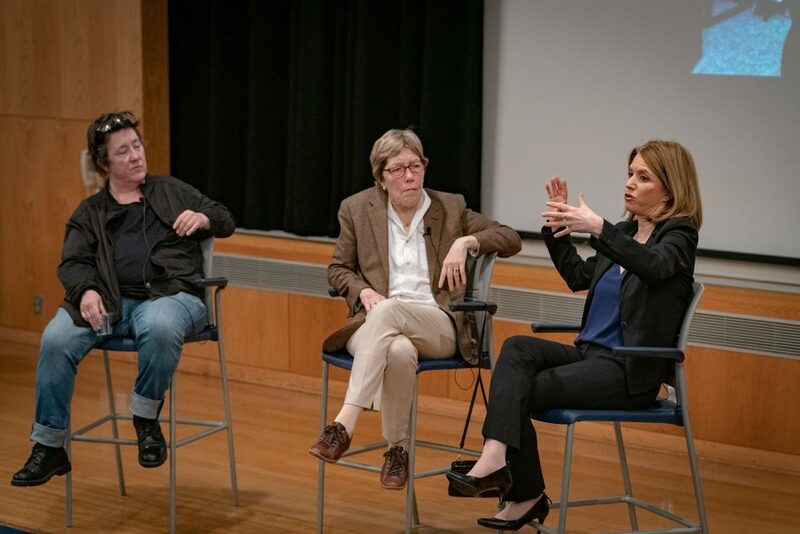 Producer and Killer Films Co-Founder Christine Vachon, retired Food Network and Cooking Channel President Brooke Johnson, and Bloomberg’s Laura Zelenko speak on a panel about women’s representation in media at Ithaca College’s Park School of Communications on March 21.